Three gunners from the Heitz Crew received the Silver Star for their actions on the Kassel Mission--S/Sgt. Watson, S/Sgt. Palm and (posthumously) S/Sgt. Ochevsky. Source of the article below is unknown. We apologize. 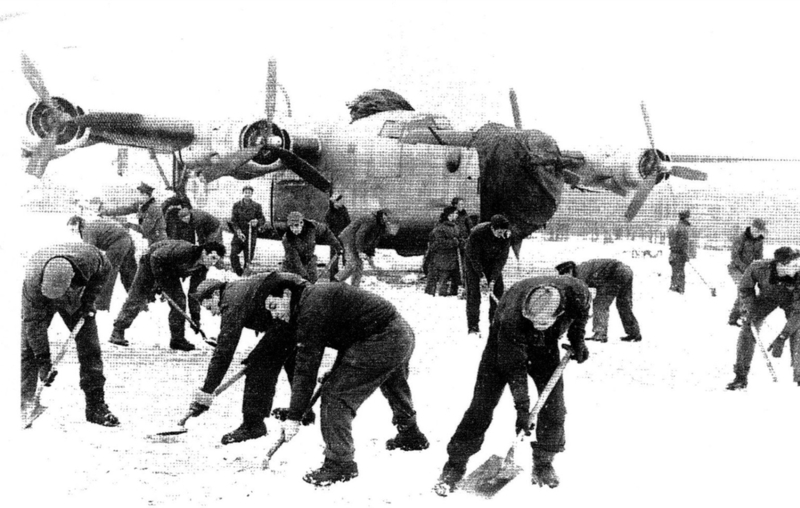 The 445th, including the Heitz Crew, shovels snow off the tarmac in December, 1944. Harrison front center right.